Ever since the living standard of life style around the world has been increased internationally, Pakistan seemed to lag behind the in the real estate world. But that was all before Bahria town projects arrived in the picture. Bahria Town is owned by Malik Riaz who is the ultimate business tycoon and is known to be the trend setter in the country. His projects of Bahria town also reflect his ultimate taste and dedication towards High standard living with some refined estate development in different cities of the Pakistan. Bahria Town is undoubtedly, the largest and the widest spread real estate project in Pakistan. This not only makes it the most favorite option for investment but, also a dream destination to live in. The main reason for such high anticipation in public for these projects is it quality of the real estate development work and interest of local and foreign investors. One of the most popular projects is Bahria Town Karachi It is not just a locality with fine housing scheme, it is infact a whole city within a city. There are infinite facilities that are being provided which are impossible to find anywhere else in the country. From high security to extremely efficient maintenance which includes the availability of gas, water, telephone and electricity: not to mention the project has its own electricity production system to avoid the stains of load shedding on their picture perfect project. But these are just the basics. Bahria town has a lot more to offer such as country’s first theme park and golf course within the boundaries. Hospitals, shopping malls, schools, all the famous food chains, theatre and so many other recreational facilities are also being built to provide as much comfort and entertainment to the people who decide to live there. 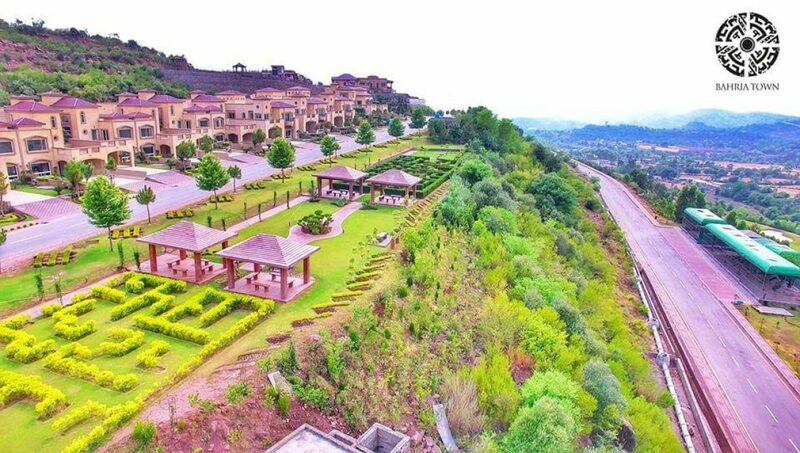 Bahria Town begun town started its operation in Rawalpindi by purchasing barren and wasted lands which created a margin for the prices to be unbelievably affordable. In fact, it was so cheap to buy that no one really paid attention to it considering it some fraud scheme. But as the time passed the impressive development in the project left everyone in awe and now suddenly everybody wanted to invest in it, which made Bahria town a symbol of prestige and class in the real estate world. The first housing project was bahria town, but after it there was no stopping by. The project was such a profitable success that after it the administration decided to extend them to other cities as well which resulted in many magnificent future real estate schemes and housing societies such as the luxurious and out class Bahria Town Lahore. There are other various projects in progress in Islamabad as well which makes Bahria town the ultimate future of Pakistan. Bahria town is considered to be the most trusted and favourable investment to establish a financially stable future as it totally changed the trend of real estate.